In the video industry, â€œthe state advances to the publicâ€, the SARFT got its wish? From an administrative point of view, there are two issues in this year's media industry that need special attention. First, the anti-corruption storm of CCTV, and the CCTV discourses represented by Guo Zhenlu and Rui Chenggang disappeared. The second is Li Ruigangâ€™s return to Shanghai Wenguang and Shanghai Wenguangâ€™s series of reforms. There are rumors in the market that this is to give up CCTV. After the consensus of the media industry, Shanghai Media Group is becoming a new model for the Chinese media industry. If we look at the two sentences together, it is the new Shanghai Wenguang media position that seems to have a tendency to replace the voice of the boss. Of course, the deeper meaning is that the new media environment has gradually opened up the discourse, and a new discourse system based on â€œfree speechâ€ is emerging. Under this background, the old textual propaganda system under the old concept of value, the old discourse system he used seems very outdated and even makes jokes. Therefore, discarding the old-fashioned rigid eight-segment narrative approach represented by â€œnews network broadcastingâ€ and creating a â€œlanguageâ€ that meets the mainstream emerging paradox is bound to go. This is the reason why the â€œnew and old media convergenceâ€ has risen to the national strategy. It is also the reason why the â€œdeaf newsâ€ and â€œinterfaceâ€ can enter the market with this current appearance. â€œThe 4th meeting of the Central Deepening Reform Leading Group reviewed and approved the guidance on promoting the integration of traditional media and emerging media. It is emphasized that efforts should be made to build a number of new mainstream media with various forms, advanced methods, and competitiveness. The new media group has strong power, communication, credibility, and influence." This news is very straightforward. Obviously, the pen writing style of the old pen needs to be changed, and it must be clear that the motive force of â€œchangeâ€ is not only from the market, but also more as a â€œtop-downâ€ executive order, while executive orders Behind it, the "media factor" is an essential factor in the many factors that are necessary for the continuation of politics. Therefore, the â€œmarketâ€ in this case exists more as a role of â€œtoolsâ€ and â€œleverageâ€. It is through the market to instigate the final realization of administrative purposes. After this kind of tone was determined, we might be able to understand SARFT's incredible series of policies. Shanghai Wenguangâ€™s rectification will undoubtedly bear the responsibility of creating a new discourse. To respond to this administrative call, the exploration of the â€œnew language systemâ€ is not limited to Shanghai. There is also the Hunan Broadcasting and Television Broadcasting Bureau, which is represented by Hunan Wei as a breakthrough in strength. In the same period of time bear the same responsibility. Therefore, from this perspective to see the rectification news of Hunan Radio and TV in October, naturally it is not difficult to taste the taste. Can also have to admit that in 2014 although it is the adjustment of the institutional media. However, 2014 is not the best time for institutional media transformation. To be more precise, the best opportunity may occur in 2011 or even earlier. In the middle of the best period of 2-3 years, the system media is actually Missed the opportunity. The sense-sensitive commercial media, especially the "Creation" represented by the new generation and Mesozoic forces, took the opportunity to take the opportunity to not only sweep the entire paper media industry, and even began to deep involvement in the TV hinterland. The system media represented by television wanted to recapture the land that was lost. To tell the truth, in the present and future generations of the commercial media, both the Mesozoic and the new generation of business media lacked the strength but lost the two to three years. Golden time. With this industry background and administrative background, the media industry in 2014 was a dispute year. Among the institutional media, the only TV that still has an advantage is more likely to be able to break through than the other muddled national team. As a result, the transformation of this wave of institutional media has made TV a force point logically. The rationality, and thus began to wrestle with commercial video. As we all know, by the end of 2013, there are basically four ways of commercial video, namely: 1. UGC mode; 2. Content introduction mode; 3. Strategy; 4. Hardware strategy for the main room. However, domestic video has not achieved success in UGC. The main way to go is the remaining three ways. Among them, commercial video is particularly reliant on the content introduction model, which almost supports the overall development of the video industry. The content introduced by commercial videos was taken from the "inside" and "outside" routes, respectively. "Inside" mainly refers to the introduction of high-quality television content in China. "Outside" refers to the introduction of dramas such as British, American, Korean and Japanese. In 2014, the SARFT repeatedly reiterated its policy of â€œpre-screening and post-castingâ€ of online dramas and micro-movies. Followed by May, he began to live a series of British and American dramas. The miracle of this incident is that, although the General Administration of Administration emphasizes that it is a post-trial broadcast, many of the English and American dramas that are off the shelves can be put on the shelves again. It would be better to say that the trial is not to be broadcasted. Moreover, because the Directorate-General has no specific description and implementation details for the auditing time, even if commercial videos have the power to introduce foreign dramas, they will lose their time. In September 2014, the State Administration of Radio, Film, and Television (SARFT) once again shot up and will ban the unregistered overseas drama from April 1, 2015. It must obtain a license for the release of a movie or a license for the release of a TV show according to law. It can be said that several administrative interventions by the Directorate of Administration almost directly discounted the supporting foot of the overseas video of commercial video. In terms of internal drama, Hunan Satellite TV launched mango TV in April, and its unicast and copyright refusal distribution strategy meant that domestic TV stations' willingness to deliver content to commercial videos was reduced, together with half of the Hunan Satellite TVâ€™s occupation of the copyright market and its benchmark. Status, the delicate environment in which television stations block content on commercial videos is taking shape. Therefore, the content introduction model, which is the core commercial support of commercial video, did experience a certain crisis in 2014. It was the second support foot that hurt commercial video. 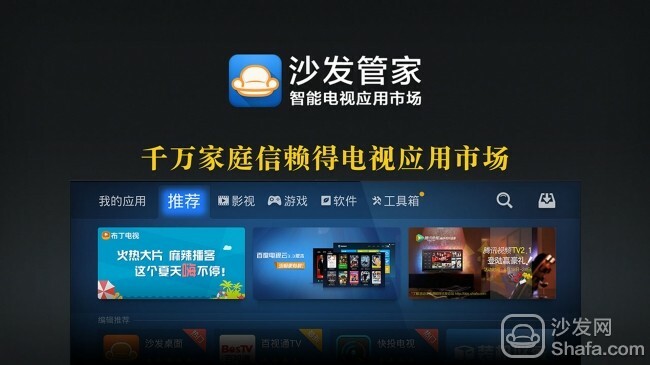 In June of the same year, the General Administration of China also requested to close down the third-party video content channels of Internet TV; in July, it issued a â€œChoose the most stringent order for the boxâ€, stating that unapproved end products are not allowed to be introduced to the market. Closing the Internet box and video client has almost suppressed the hardware strategy of the entire commercial video main room. Is cut off the third development path of the video industry. On November 6, the National Internet Information Office and the State Administration of Press, Publication, Radio, Film and Television jointly held a press conference and announced that from now until the end of December this year, it will launch a special campaign for bad videos for the first time. On November 10th, it also exposed the management of Internet audiovisual content. Although these two statements have positive aspects, they have also affected commercial video. Therefore, looking at the policies of the State Administration of Taxation, the intervention in the current three paths of commercial video is obvious, and this kind of intervention is all-encompassing, and it is obviously unfavorable to the development of commercial videos. Therefore, we may not be able to simply identify with it. This is the implementation of the relevant policies by the Directorate General for the normative role of the market. Of course, we can only make speculations. 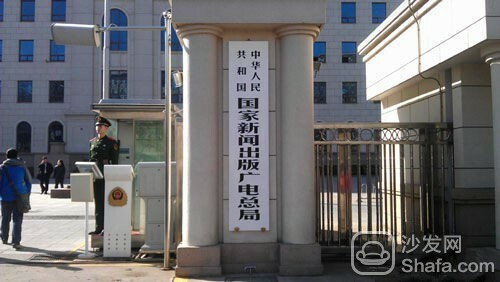 The regulation of the market by the Directorate-General of the People's Republic of China is based on the administrative purpose or the market. Because of the introduction of this series of policies, the living room strategy in the commercial video has achieved initial results, and Hunan has launched mango TV, know-it-all, Oriental Pearl, and Dragon TV to make delicate adjustments. Taking a step back, the Directorate-General is indeed proceeding from the market in order to regulate the market. But also have to admit that there is a hidden logic behind. That is, if we want to achieve administrative goals that extend from the political level and reshape the discourse system of the countryâ€™s new language and culture, then it is very necessary to give the national team enough room to turn around, and the most immediate and effective one is that the suppression at this stage is gradually The development of commercial media in the mainstream discourse market has made it possible for them to make sufficient reservations. Although we do not want to determine this, the policy of the Directorate of Administration has escorted the â€œnational teamâ€ and even based its suspicions on â€œadvancement by the country and the peopleâ€, but the facts and results prove that this is a logical chain closure. Of course, on the national level, the purpose of administration is understandable. It is only in this way that the current choice is made that SARFT as a market regulator is deviating from its own functions. If you do not come out two steps, the sun will be more healthy under the sun.